When I say, "read without limits", I really mean it. Books can save your life, living out from your bubble without actually leaving it. Sounds like Mathilda? Anyway, I mean it (once again). Books can save your life and reading limitless could help you living throughout everything. Nowadays, there's nothing you can't do if you have (the right) books ... and YouTube---oh well. 'Anyone Can Cook'. I wish the book by Auguste Gusteau does exist. However, we have many other cookbooks to help us in the kitchen. So I have been viewing (and reading) some recipes from Yotam Ottolenghi, Jerusalem. I don't have the book, but some recipes in the book can be seen online as well. Recipes from anywhere should be adjusted to your own preference. Like in Ottolenghi's, some unknown ingredients I don't know and probably not available in my country. 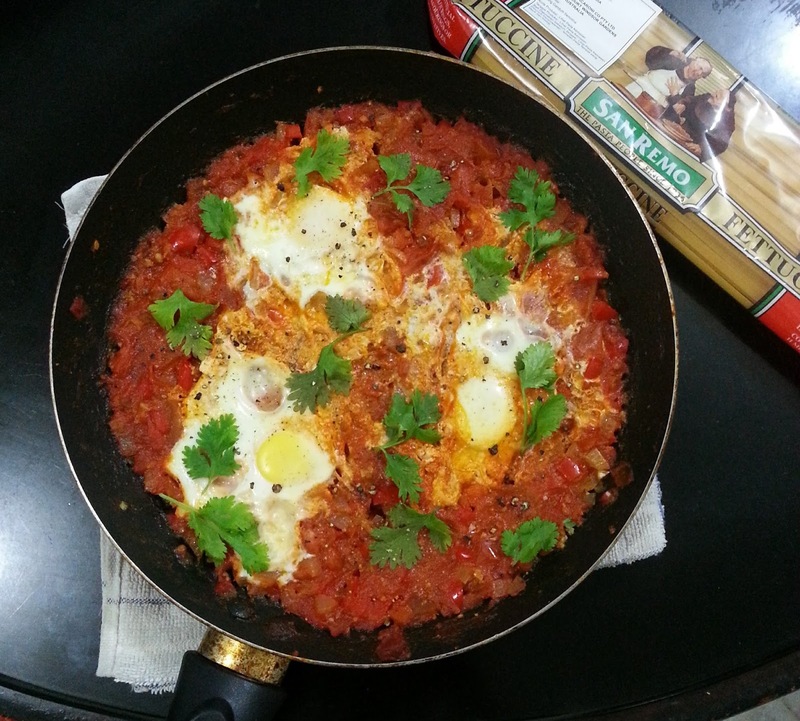 I'm reviewing this cookbook by cooking one of the recipes, shakshuka. Some people also call it as Tomato Baked Eggs or Tomato Eggs? But in Jerusalem, it's Shakshuka. There, period. It has no meat. I am a meat eater and I hate vegetables, except broccoli, cauli flower and spinach only when it's thinly chopped and cooked with rice and ginger. 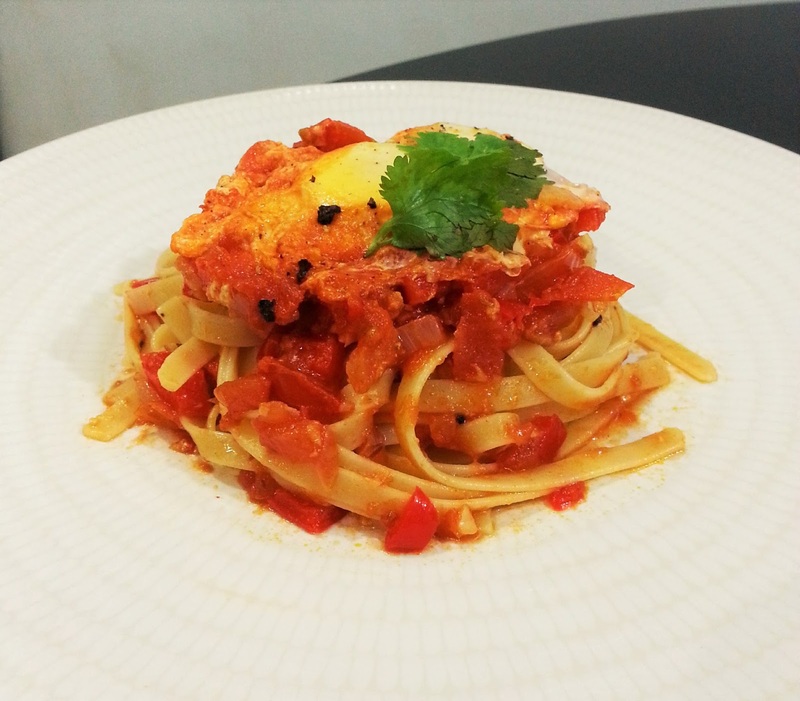 Getting to Catholic fasting month, maybe this dish can be a way out when I have to skip eating any meat for a day. Or not. I just love eggs, so I think, why don't I try to cook another way to eat eggs? 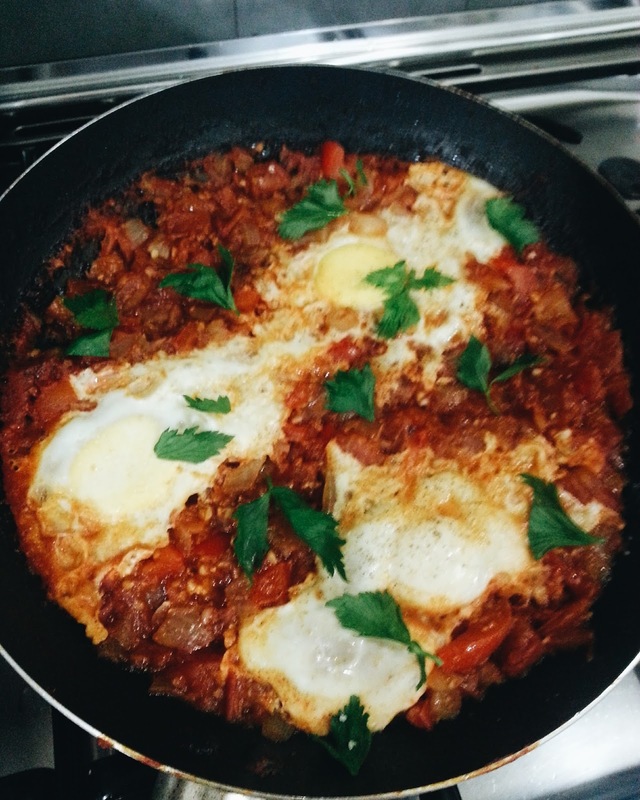 Shakshuka, then. It's a Mediterranean dish. Reading the recipes, the ingredients should create a unique taste on the tongue. Tomatoes, with spicy paste and egg. This recipe is the first one that pushes me 'playing' with cumin. 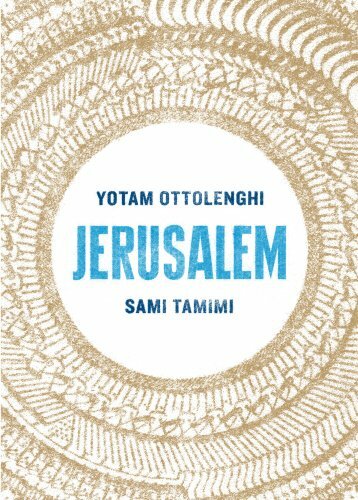 The interesting part is that the authors are Yotam Ottolenghi who is Israeli-Jewish and Sami Tamimi is Palestinian Arab. Both of them were born in Jerusalem. Together, they bring new level of Israeli's cuisine in mixed-cultural collaboration. Interesting, isn't it? 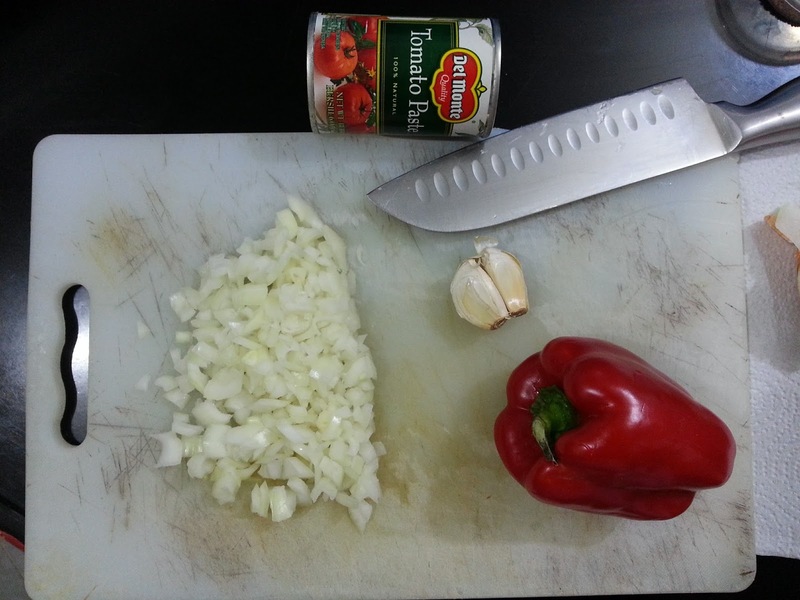 I feel peace while trying this recipe in my kitchen. 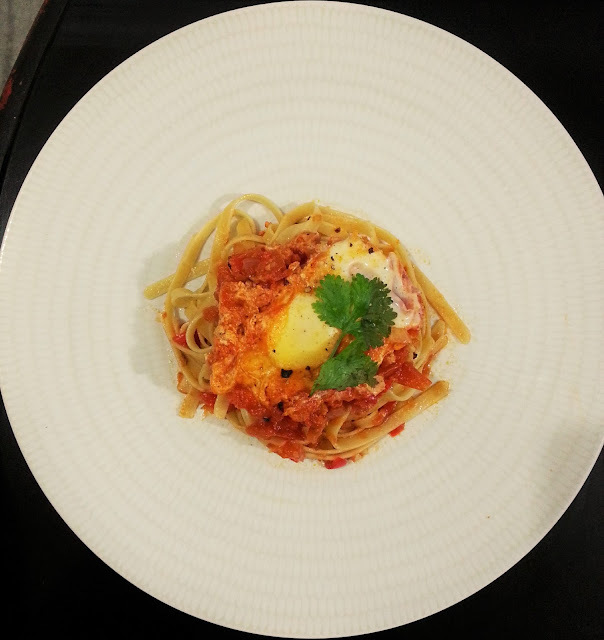 Ok, this is my second time cooking the dish. My first time, my only pic of it was... blurred. I'm trying my best to take pics with my smartphone with shaking hands in the middle of rush cooking. Guess what, I have to ground the cumin! 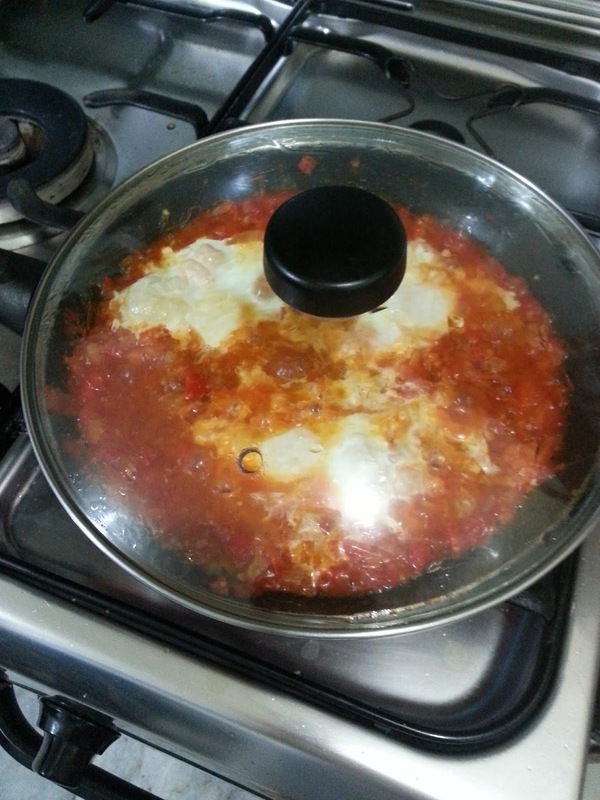 I managed to find an excellent YouTube video on cooking Shakshuka. It's from Home Cooking Adventure. Scroll down to find the video. I change some ingredients I can't find with what she had in the video to give spicy flavor. 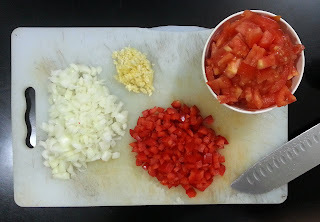 Oh yes, the red bell pepper is diced and looked like shiny dried cherry! It tastes different for sure. 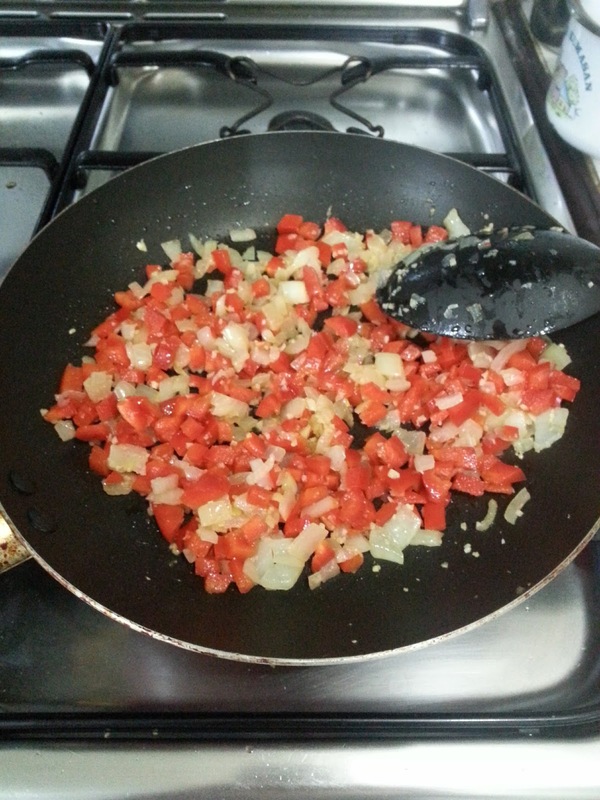 Here comes the cooking part! They say it's for breakfast, for lunch... for dinner. I made it for dinner. With my favourite carbo: pasta! 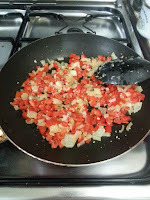 You can add ground black pepper for better taste and fragrant, also fresh parsley. Next time, I will create an improvisation with minced beef, making it look like marinara. More freshly ground black pepper and grated cheese will make it more fun, I think. If you like those two of course. A nice presentation will deliver perfection to your Shakshuka. I understand Julia Child would love bloggers who try to cook to share what they learn in trying recipes. 1) I put less salt and it was weird. I should put some more braver! 2) Yes, I should've put grated cheese after it's finished. Let it melt while shakshuka is still hot. Nice? 3) I didn't try how it tasted before I ended the cooking process. Take a taste to make sure things are okay. I got to do emergency fix, in my case. 4) My problem was that I didn't ground the cumin too soft. It didn't make any trouble. 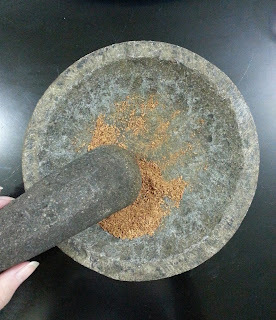 But, for 1 tsp cumin, if it was well ground, the taste could be more 'enhanced' evenly. 5) Don't dig the shakshuka too deep when you're about to crack the egg and put it in. The yellow won't show. It's not that important, just to make sure if those eggs would look like eggs. 6) The measurement for spices are perfect! But adjusting to your own taste is always fine, though. 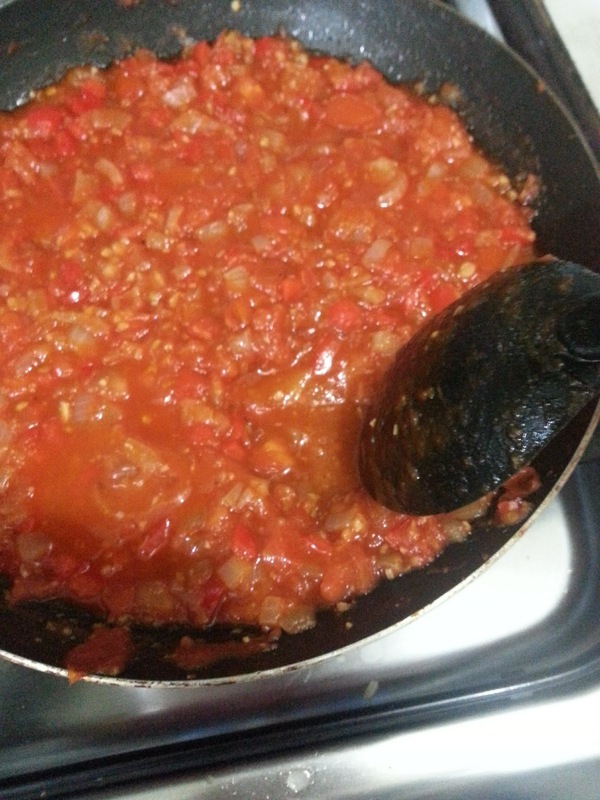 I used less red bell pepper (1 pcs) and tomatoes (4pcs). The rest is alright.